Built for all day comfort and long life, even on the most demanding jobsites, the OX Tools 4-piece framing Rig easily stores all of the tools needed for everyday use. Pouches are secured with heavy-duty rivets that have a low profile to reduce chance of scratching surfaces. Double stitching and belt Tunnel reinforcements are designed to withstand the vigorous conditions of the jobsite. 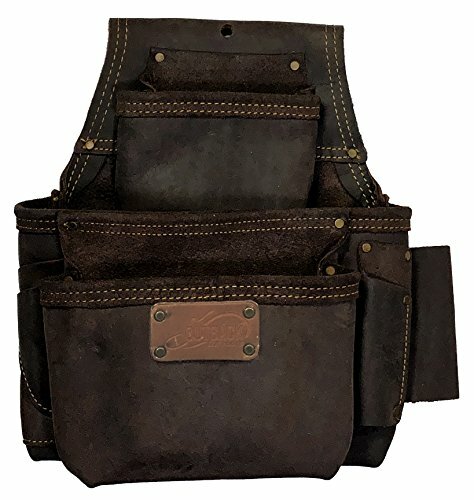 All four pieces are constructed with high-quality oil tanned leather and include: Pro framer's tool bag, 3 pouch Pro fastener bag, 3 pouch Pro hammer holder 3 inch tool belt with a total of 22 pockets, there is plenty of room for nails and necessary tools. The fastener bag serves as the primarily nail bag with a slot between the two front pouches for a layout square. Plus, it features a pencil/marker pouch and a scabbard for a Claw bar. 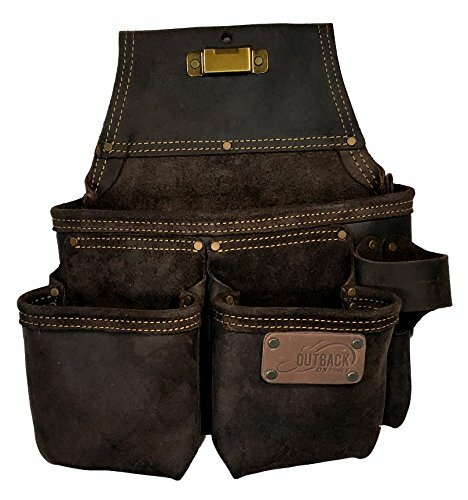 The tool bag has inner pockets for hand tools as well as a pencil/marker pouch and includes a tape measure clip for quick access. And, the dedicated hammer holder offers flexibility in placement for quick muscle-memory retrieval.